We know many of you want to know whether you should buy your Thanksgiving turkey at Costco or elsewhere. 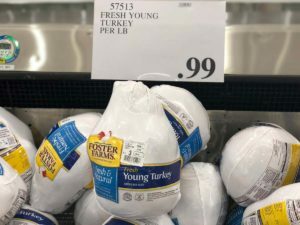 We break down the prices of all (4) turkey options at Costco as well as compare the pricing elsewhere. Around the country the Costco selection and pricing will vary. 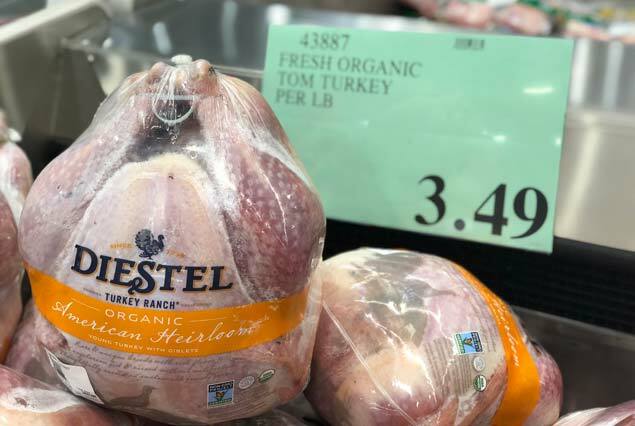 In California Bay Area locations the fresh turkey prices are as follows: Foster Farms Fresh Young Turkey at $0.99/lb, Diestel No Antibiotics Whole Brined Turkey at $3.39/lb, Fresh Organic Tom Turkey at $3.49/lb and Seasoned Turkey Breast with Stuffing & Gravy at $2.69/lb. Read on to find more details on them, see pictures of them and see the prices compared to other stores. 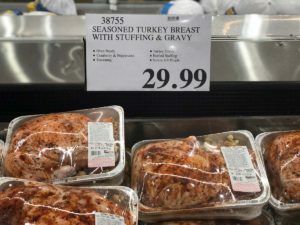 We know that Costco’s in the Midwest are selling Butterball turkeys at $0.99/lb. They also have Organic Fresh Turkey by either Butterball or Foster Farms at $2.99/lb. 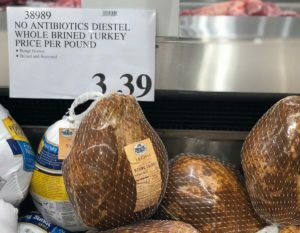 Huh..the only turkeys my Costco had was butterball, which you could not pay me to eat.